“What are we history professors for?” That’s the existential question asked by Rachel Wheeler in the current issue of Perspectives, the monthly magazine of the American Historical Association. Wheeler urged fellow Americanists, at least, to respond to white nationalism by offering students a different kind of national story. But she acknowledged that this was not a calling many modern-day historians are eager to accept. “Many of us have a vision of what a more just America would look like,” she writes, “but we shy away from painting that vision for our students.” For fear of lapsing into the “triumphalist boosterism of earlier historians and current nationalists,” she lamented that U.S. historians have generally left national history for others. What if we envision our work as prophetic preachers of an American civil religion? This doesn’t require dramatic change, but simply a reframing of our thinking about what we’re already doing. Our lecterns are our pulpit and our lectures sermons, with the power to make congregants squirm in their pews at our country’s many sins, while also inspiring them with a vision of a better, more American America. Students are hungry, I believe, for exactly this sense of possibility. As the would-be keepers of America’s past, we owe it to our parishioners—our students—to help them imagine a future. Right now, I fear we often leave them straitjacketed by history. We dangle them over the pit of an American hellscape like Jonathan Edwards’s spider and preach of the indelible mark of our nation’s original sins, but we fail to offer the accompanying sermon that holds out hope of salvation. But there is something to Wheeler’s assertion that “Our lecterns are our pulpit[s] and our lectures sermons.” Though perhaps not exactly in the way she meant, I do think that teaching is — and isn’t — like preaching. Similarly, Lewis emphasized the importance of a good preacher exegeting not only the text before her, but the people listening to her. To do the work of interpretation, a preacher needs to know context — of the Scripture, but also of the congregation and the worlds where those people spend most of their time. In order to interpret critically historical texts less perfect and less authoritative than the Bible, we historians teach our students about the importance of social, cultural, economic, intellectual, political, and other kinds of context. 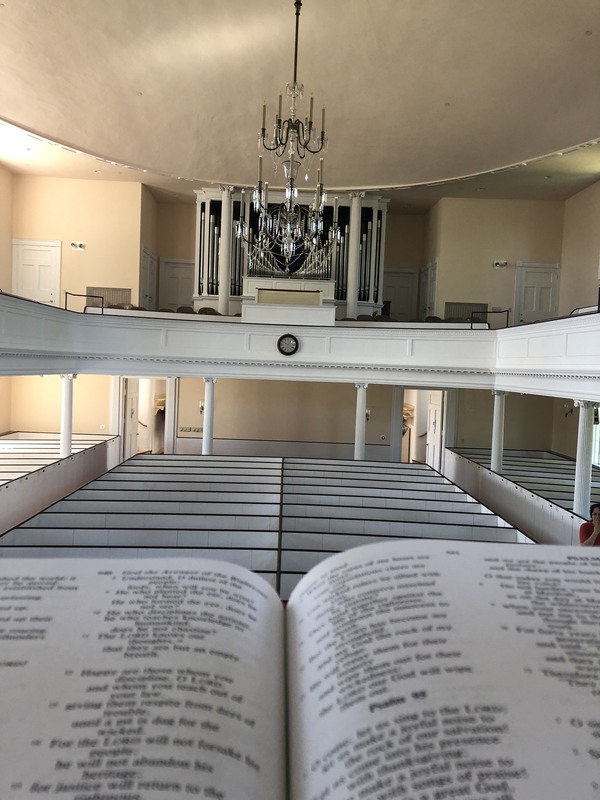 And just as good preachers — to tweak something Karl Barth supposedly said about prayer — preach with the Bible in one hand and the newspaper in another, so any history professor needs to teach about the past… without ignoring the present. To a significant extent, that kind of context is bound to be unknowable. We only have so much time and insight, and we none of us reveal ourselves fully to one another. But just as a preacher will spend as much time getting to know her congregation as she does studying her text, so any history professor needs to take time to exegete her students — their hopes, dreams, sorrows, frustrations, abilities, challenges, etc. Last week Sam Mulberry and I led a couple of discussions stemming from his documentary, Why We Teach. We started where that film starts, with a clip of some gifted teachers talking about the teachers who inspired them. The one constant theme in those stories is that a teacher took the time to get to know them, and what they most needed to hear at that time in their lives. For now, let’s imagine that we’ve understood the contexts of our text and our students — and have a good sense of how our teaching fits into their lives beyond the classroom. What happens as a result of our teaching-preaching? No doubt it depends on the student. Some are led to something like repentance or even conversion. Some are angry, or inspired. Some feel heard and seen; some feel accused. But I think the one thing that should happen to all of them is that their imagination has been expanded. Except indirectly, I don’t think that what I do as a history professor leads my students to think anew about God… but as we study fellow humans through encounters with pasts that are both foreign and familiar, we might see humanity — others’ and our own — in new ways. We might indeed, like Jonathan Edwards, open the eyes of fellow sinners to “the fearful danger you are in.” Or help them to see a greater “sense of possibility” — in the life of the individual, or that of a community like a nation, or a church. If not theological imagination, perhaps history teaching can expand students’ anthropological imagination. You can read Wheeler’s full essay in the April 2019 issue of Perspectives.